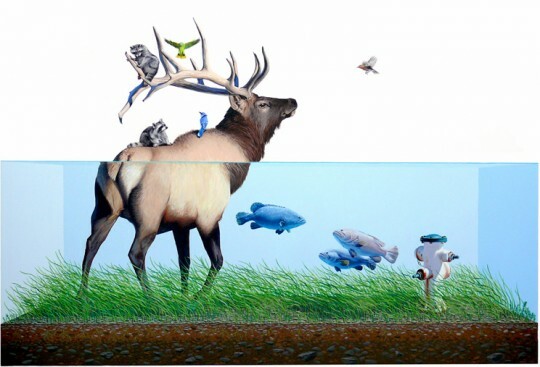 The One & Only - Leased Ferrari: PRINT | Josh Keyes "Evacuation"
PRINT | Josh Keyes "Evacuation"
Josh Keyes "Evacuation" print is an unsigned edition and will be available March 22nd through March 29th, 2011 through Tiny Showcase. It will no longer be available for purchase after that date. $10 from each print sold will be donated to Doctors Without Borders. The reverse side of each archival print has been hand-stamped with our authentication insignia and hand-numbered. Pick up a print for $30, support a great cause, and get some incredible art.